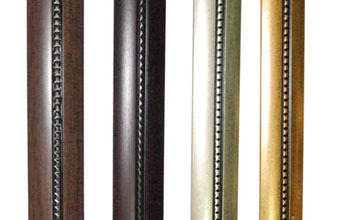 Materials: decorative rods are made out of enviroment friendly recyle WPC. buy our products you buy green. Speical: the revolutionary change for traditional curtain rods industry, new concept can inspire many decorative factors and express your personality in your own window decoration. Styles: Splendid carving, figuration and pattern colors can make the design style of Roma, Gothic, Nature and Modern. Centerpiece: Well designed centerpiece can make your curtain look excellent. see how our curtain rods works as following drawing.